There are 6 reviews of Vétiver (new). A scent true to its name as vetiver comes straight from the beginning accompanied by lemongrass. The lemongrass fades stays for several minutes and leaves vetiver on the stage. The scent wears close to the skin making it a safe office fragrance. Solid vetiver. This has a bright, citrus opening followed by a green, yet slightly two dimensional, vetiver. The woods and benzoin in the base are suggested, rather than promoted. I haven't smelled the original in years, but this is a light, bright modern vetiver, a good gateway scent if anyone is exploring this note. But, as a bright "modern" vetiver, is it as good as Tom Ford's Grey Vetiver? Not really. As a straight vetiver, is it as good as Le Vetiver or l'Occitaine's vetiver offering? Not really. Its biggest hurdle, of course, is Guerlain's monumental masterpiece and, despite sharing a common French luxury brand heritage, this doesn't even come close. I am glad, however, that Carven is keeping its brand current and relevant. In the Guerlain and Lubin mould of vetiver, which is the type I prefer. Perfectly nice alternative but I prefer Le Vetiver. Good strength and longevity. A very nice vetiver and would be an excellent choice for someone looking to add a first veitiver to their collection. This vetiver has a sweet citrus opening, which didn't really hold long and then drys down to a more common vetiver grassy tone. 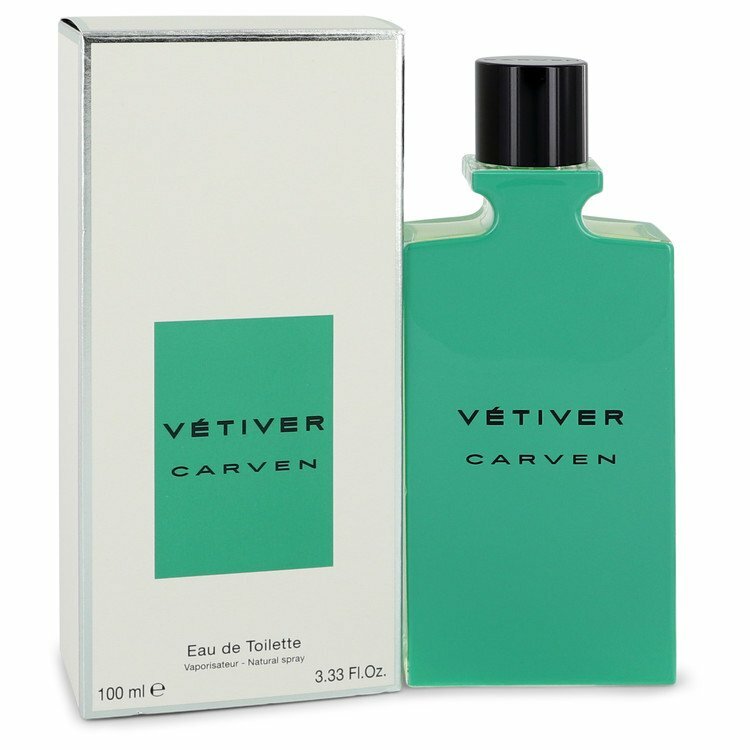 However, Carven Vetiver reminded me too much of Guerlain's Vetiver, which I have owned for years and love, so really couldn't see the point of buying this since I already own the Guerlain, but an excellent vetiver and a definite thumbs up. This is a very good reboot of the original. Here we have good citrus notes, followed by a solid rendition of vetiver which is grassy with an iodine note (as some vetivers have). Wears very well, quite satisfying. Looses the mossy goodness of the original but that is to be expected. If you want a very credible version of vetiver, this will fit the bill. Atelier Cologne by Atelier Cologne Vetiver Fatal Cologne Absolue Spray 6. There are no member images of Vétiver (new) yet. Why not be the first?